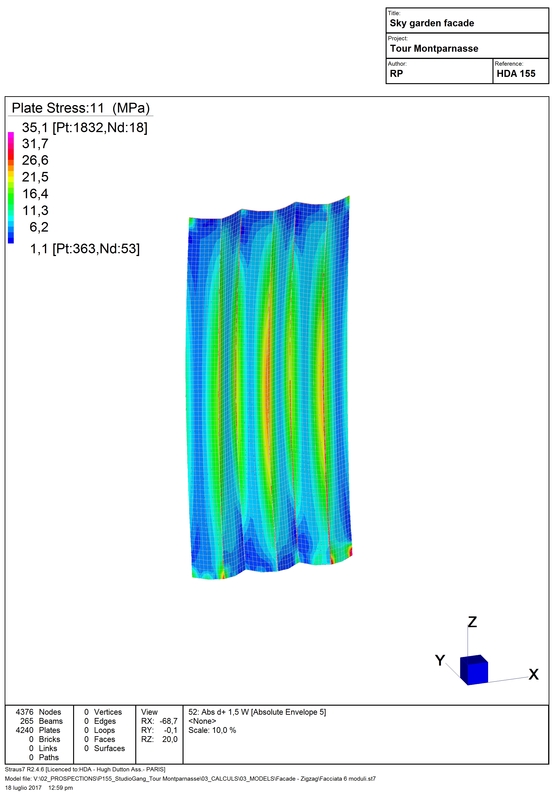 HDA TEAM : Hugh Dutton, Mitsu Edwards, Azhar Khan, Riccardo Perna, Andrea Bombonati, Laya Hermelin, Yingjie Yu, Laurie Rowenczyn, Rafael Silveira. 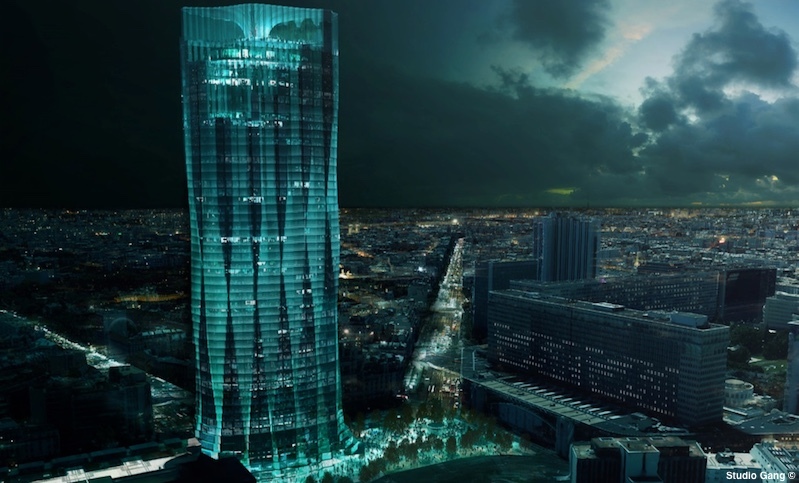 The controversial Montparnasse tower in Paris was the subject of an international competition for an extensive renovation to modernise the tower. 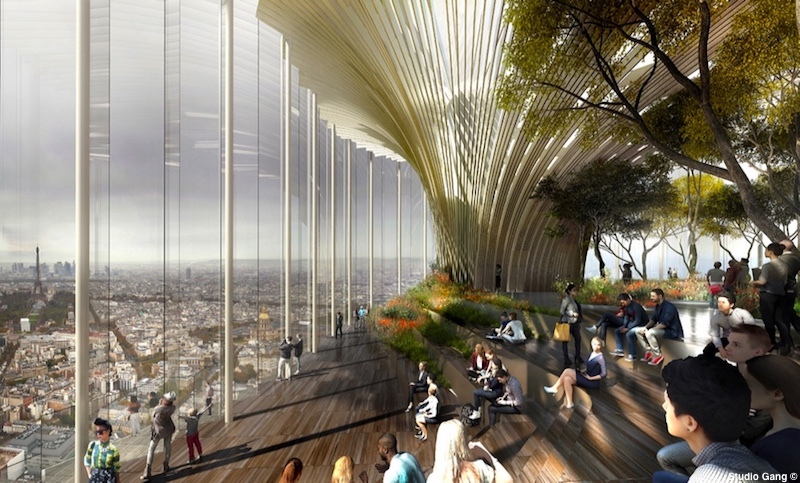 Architects Studio Gang of Chicago achieved second place from an initial field of 700 inquiries, 150 entries and 7 semi-finalists and two finalists. 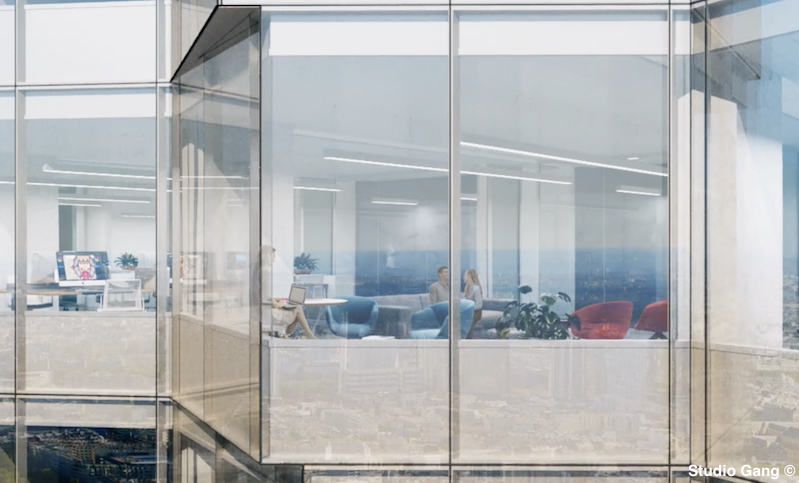 Studio Gang’s design responded artistically and creatively to the brief for a new image for Paris achieving the best energy performance, transparency, and optimal user comfort. 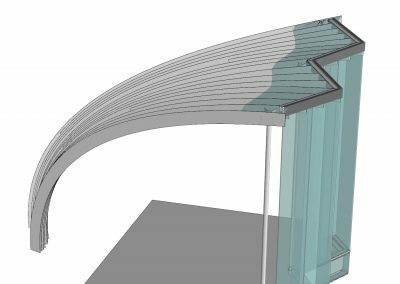 Aerodynamic studies produced an optimal form for a new skin with a textured façade to minimise wind loads and improve public comfort at the base. 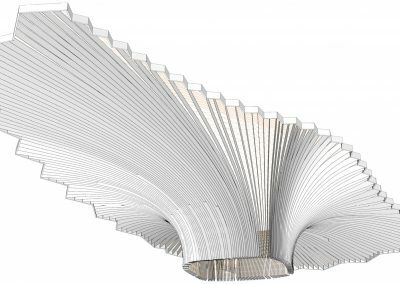 The rippled texture is achieved with a fluid motif of staggered bay windows. The façade improves natural lighting and allows selective shading for simultaneous solar protection and unobstructed views of the city. 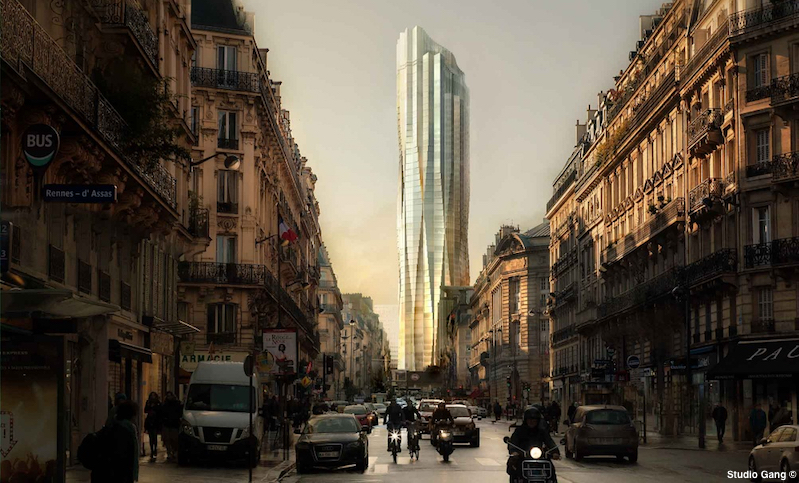 The shading system responds to sun angles, providing a dynamic ever changing ‘chatoyant’ aesthetic that expresses the tower’s synergy with nature. 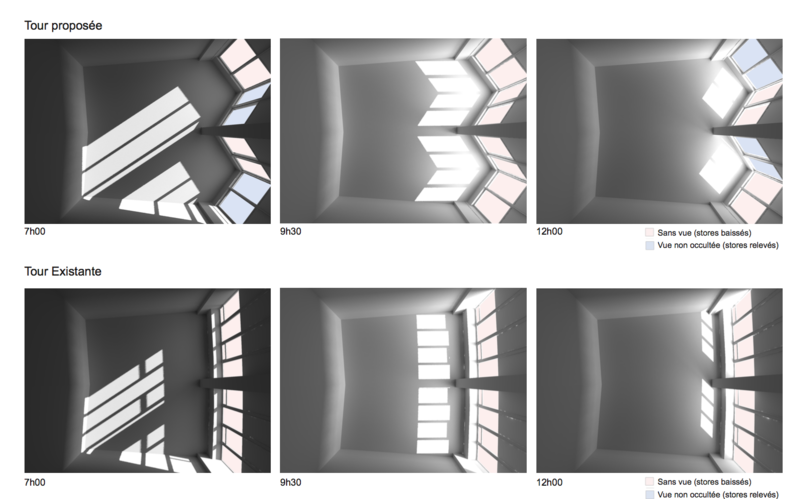 Dynamic modelling of shading configurations throughout the day for different seasons. 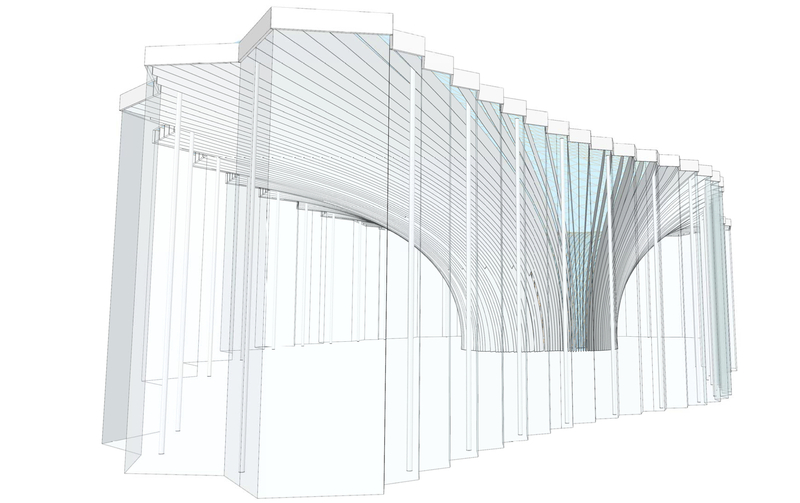 The ‘v’ plan of each cantilevering façade bay allows one southern orientation face that receives sun direct sun to be closed while the corresponding northern face can remain open with direct views of the city. 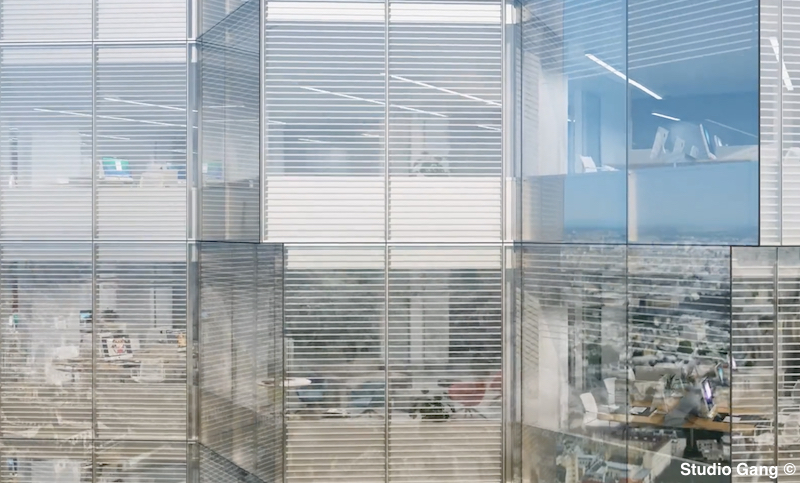 The video demonstrates how the automatized shading creates a dynamic in the façade in response to daily sun movement in the sky. 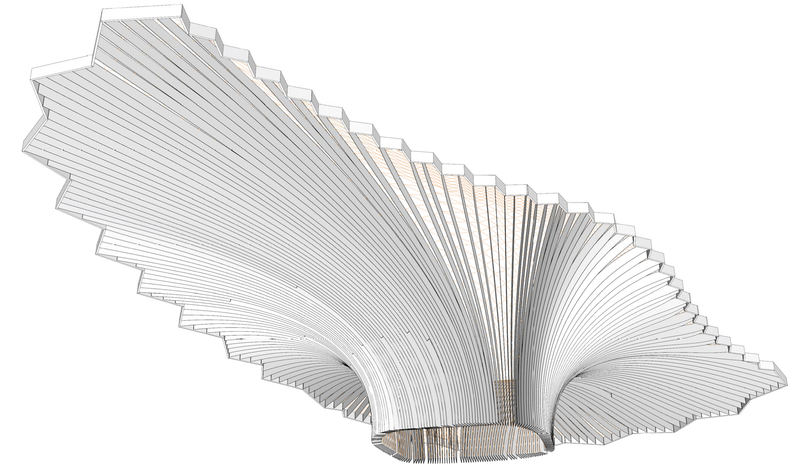 The iconic rooftop Corolle is composed of a series of radial blades in steel plate linked with small steel struts to create a 3D structural shell surface. 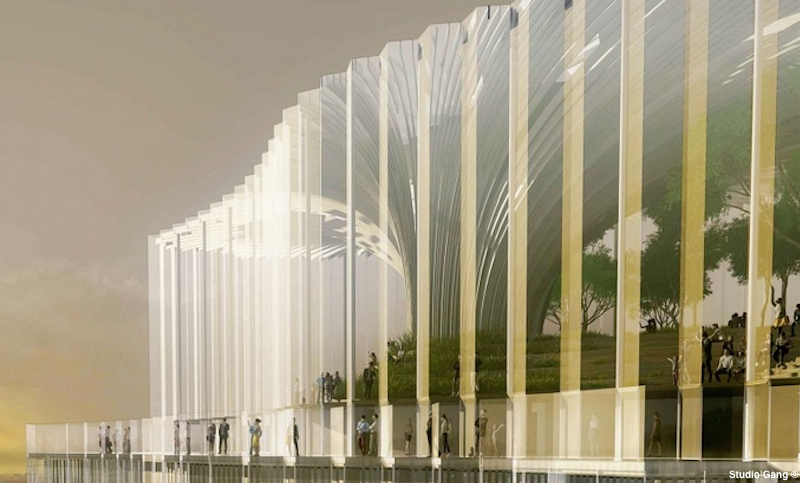 It is stabilized with slender peripheral columns and provides support for a photovoltaic glazed covering. 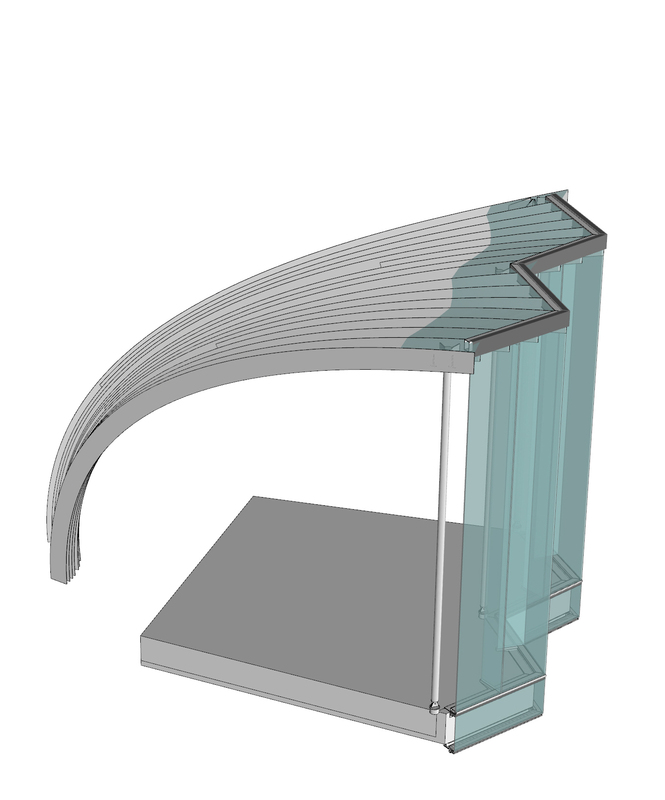 Vertical glazing is in very tall glazed panels connected at the folds to form a mullion free pleated surface. This transparency critical for views from the observation deck on the top floor and for views of the Corolle form itself viewed from afar.. 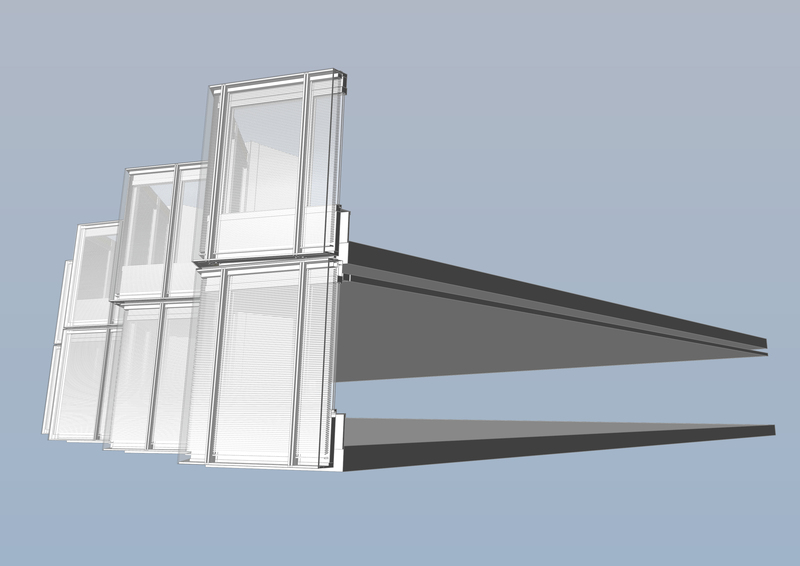 The curtainwall system for the typical office floors uses a prefabricated unitized system. 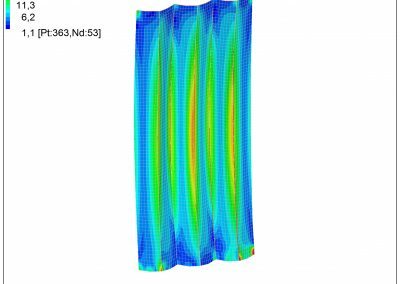 A double skin glazing system uses the most transparent glazing products with Integrated shading blinds optimise transparency and solar protection for the offices. The bay windows improve natural light experience. 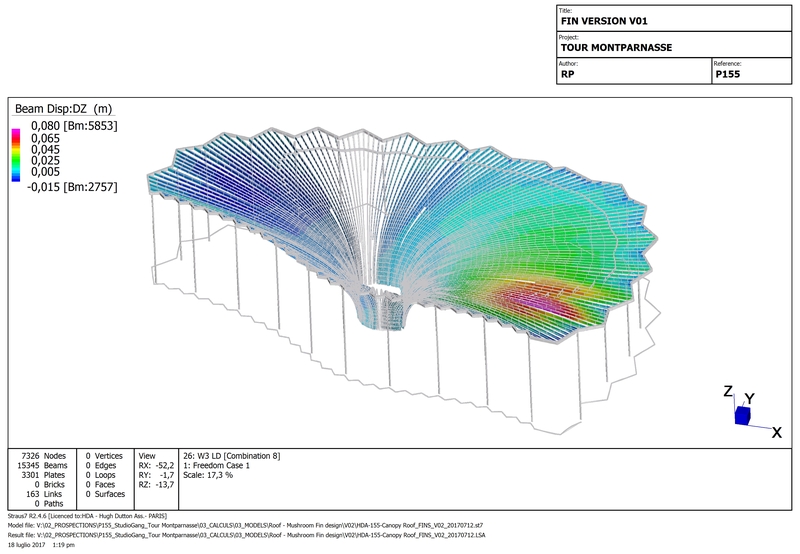 The light simulation study demonstrates the improved lighting conditions in the office spaces.